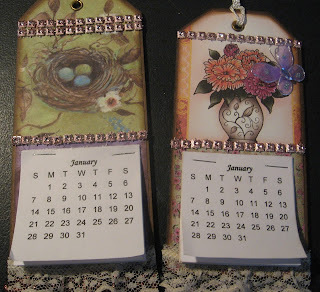 These calendar tags are super easy to make so they are ideal for craft fairs and as small gifts. You can download the PDF files to print and cut your own calendars for 2018. There are 2 PDF files to choose from (one with the names of the months, and one with the names of the months and including the year). You can view the video where I make a calendar tag on my YouTube channel at https://youtu.be/dmGejYPsF90.